People who own a Suqqu lipstick adore their luxury texture. The Bright Up lipsticks were introduced with the summer collection and were brought in to replace the Creamy Glow stick. I had and loved a creamy glow stick in Tsuyazakura, but those who follow me on twitter will know I owned it for a measly 3 weeks before it went to 'lost sock' heaven. I then bought two Bright up lipsticks and today I bring you Barairo. The texture of this lipstick is incomparable. It sits right up there with my Giorgio Armani and Burberry favourites, yet does feel different, It has a very creamy yet light feel on the lips. If you do own a Creamy Glow lipstick, the Bright Up has a slightly less silicone feel to it. The colour is pigmented, but has a life to it that leaves your lips looking moisturised and plump . Barairo is a pretty peach shade, with no shimmer. Wear time is what you would expect from a creamy lipstick, but it wears off gradually. A perfect shade to wear everyday. What are you Holy Grail lipsticks? The Giorgio Armani collection called to me like I was some damned sailor being beckoned by a wailing banshee. With one look, I was ensnared and captured by this devilish collection. 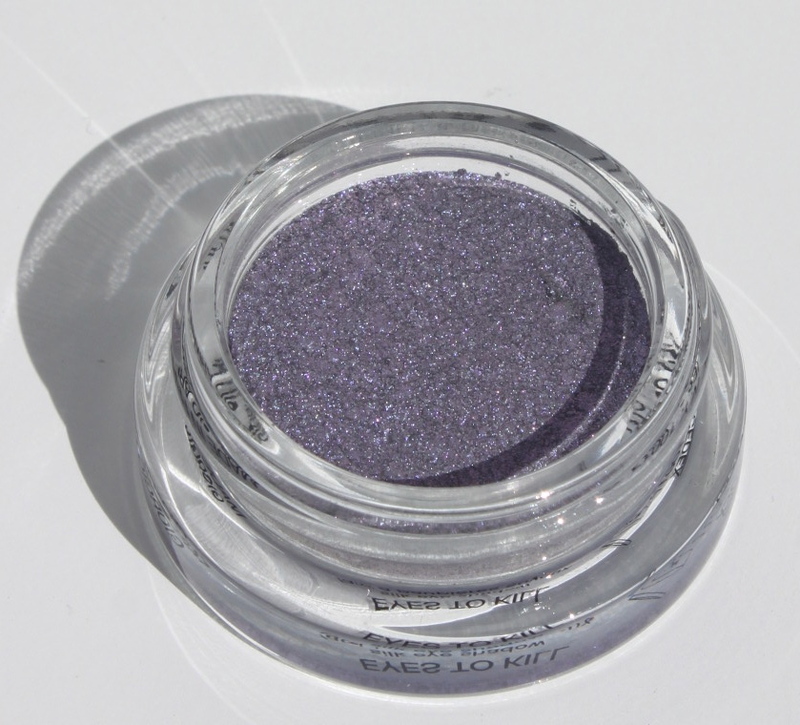 There were 5 new limited ETK shadows and these three were my picks - Rose Popilla 30, Scarab Violetta 33 and Blue Beetle 34. All three are beautiful duochrome's. My Rose Popilla as you can tell from the pics, came a little dishevelled, and was contracted away from the pot edges. I am assuming that it is still A-okay, even though none of my other ETK intense shadows have ever come this way. It also then cracked on top when I gently put my brush to the surface. Yet, it still applied well, though a bit drier than usual. Also these can be used wet. Rose Popilla is a good base shade as it is quite neutral. Just when you think you have pinned down the colour of this shade it morphs into something completely different. Cream,Taupe, Pink, Peach and Grey - a nuance at every angle. For me a must have. Scarab Violetta is the most pastel of the collection- but still not a 'princess' pastel, still has edge to it. A soft purple/silver concoction. Blue Beetle is the deepest shade. The swatch below shows its shy side. Full on it is quite a striking duck blue. This colour is shot through with a deeper dusky blue, which gives it a dirty look in certain light (punk dirty not 'I have not washed dirty'). Even if you go away with just one of these from the collection, you can be happy that it is unique. What has been your favourite Fall 2013 collection so far? As we age we can really see a difference in the fullness of our lips . I purchased Perricone MD lip plumper to help. This products has my favourite Perricone ingredients Alpha Lipoic Acid and DMAE. The handy container has an angled applicator. This product itself, has a wet fluid consistency, so only a small squeeze is needed. I have found that a once day application was best for me. If I used it more frequently, I found my lips were a bit aggravated. This is not a quick fix lip plumper that tingles, and forces lips to swell, but more of an anti- ageing treatment. Within a week, my lips natural fullness was restored and the fine lines that appear on the edges of the lip area were smoothed. I think consistency is the key as continued use with have compounded effects. I am also excited as I just purchased the Super Berry Powder with Acai supplement. I am only on day 3, so I am looking forward to many health benefits. I will report back when I am nearly finished my 30 day box. What lip treatments do you recommend? Tom Ford Seductive Rose just recently found a welcome home in my Tom Ford collection. Seductive Rose, was initially an asia only exclusive with lavender Lust (I purchased mine in Hong Kong via my helpful dad!). I understand this is now available in the US. I received a request from Bellyhead from Wondegondigo after she posted this new discovery at her local Tom Ford counter, to show how it looks on me. Like Belly I was initially a little disappointed. 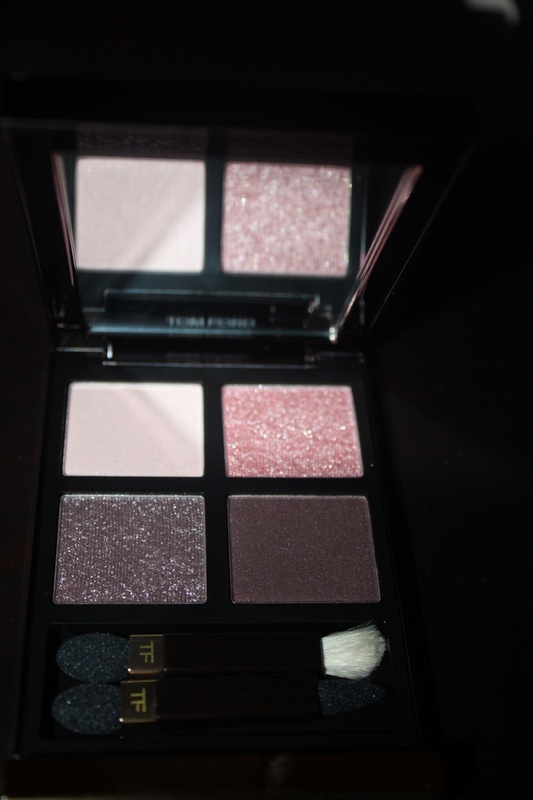 This quad, I thought was a little sheerer than my other Tom Ford Faves. But, I now recant such blaspheme and now lurv my little Tom Ford treasure. It has earned it's name as it has thoroughly seduced me! A Beautiful Rosy collection is the obvious theme of this quad. 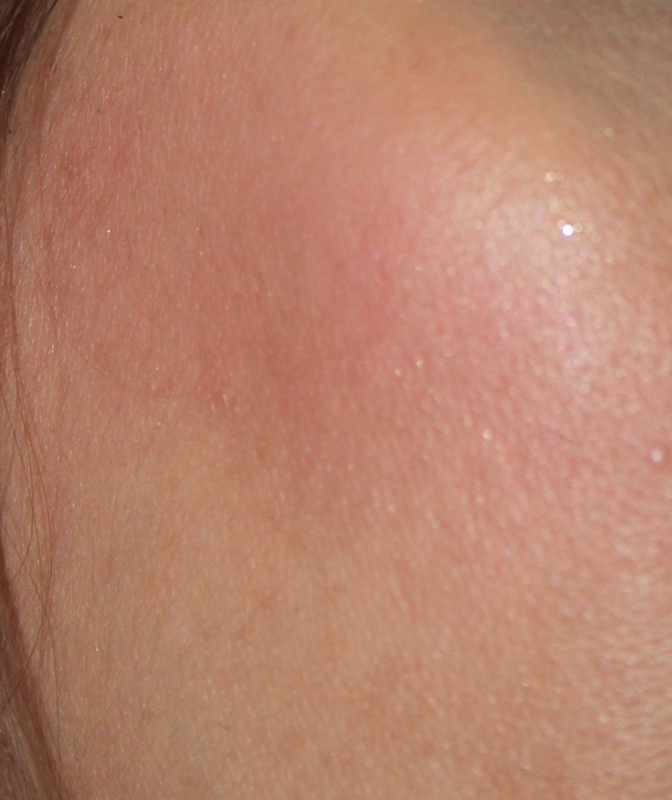 The base/highlight colour is a pink based cream lustre that immediately brightens my eye area. There are two Tom Ford pigmented glitters in this quad - a pretty pink and plum shade which are best patted onto the eye for maximum impact. The deep shade is a matte, dark aubergine (brown plum) which adds depth to the outer V.
I used the lightest shade over the whole lid and shaded lightly up towards the brow bone. 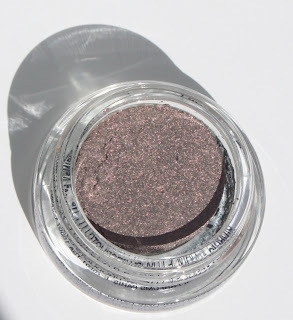 I then deepen the outer V with the darkest shade and also run this colour under my lower lash line. I pat the plum glitter on the outer half of the lid and the pink on the centre. I then darken again with the darkest shade and repeat the glitter. I used Tom Ford liner in Espresso to line the eye and smudged out. This is such a girly range of colours that created a fresh look. if you just used the plum over the whole lid a more edgy look can be achieved. Seductive Rose is just ............wonderful. If you like the whole Tom Ford glitter /shadow combo, you should love this one too. Tom Ford is available at Stuttafords. Addiction By Ayako summer 2013 saw the release of 6 quads, two of them being limited. Soda Lunch is one of those limited quads that I just had to have. Since this is beyond ridiculous to get hold of and now OUT OF STOCK, this post is purely for ogling purposes! The dinosaur is so sweet on the front and his look really matches the colours inside. The 3 brightly coloured shades are a matte in theory but go on with a creaminess that defies their 'matteness' - huh! They all have a sheen to them making them a matte, BUT BETTER. The yellow shade is fearless and goes on like a vinyl overlay on my lids. I feel like a manga goddess with thigh high boots when wearing this shade. When I am feeling a little less bold, the teal and purple shades are fun option worn together or alone. I have seen a few awesome blogs where these colours as shown as washes, but I prefer them in all their shocking glory. The white shade I do find a bit stark against my complexion but I a sure I will find an opportunity to use it. 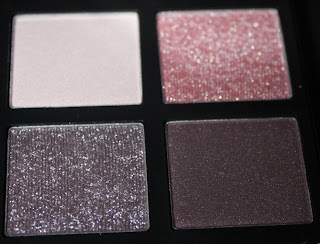 I did also purchase two palettes, not limited and still available - Mudd Club and Sugar Rusk, which I will review in time. Nars released a collection in collaboration with shoe designer Pierre Hardy. True to his aesthetic the colour were a mismatched heaven, so meshed well with the Nars genius colour pairings. I came away with one of the two limited edition blushes, Boy's don't cry. I would have bought some of his duo nail polishes, but alas shipping of nail polishes is prohibited from most online stores. I am reviewing this only now, but have seen this blush still available, even though the new Realm of the sense and Soulshine blush palattes have arrived in stores. 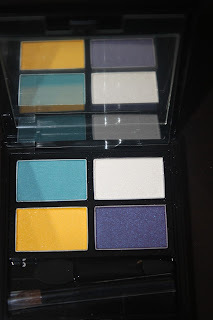 Apparently the new palettes have a new formula, not sure about Boy's don't cry, but I was extremely happy with it. In the pic above there are a few sparkles, as I swatches when the overlay was still on the pan. This sparkle is gone once the overlay is brushed off. I initially resisted this blush and only bought it a few weeks after it's release, but am really happy with it's overall performance and unusual, but wearable colour! 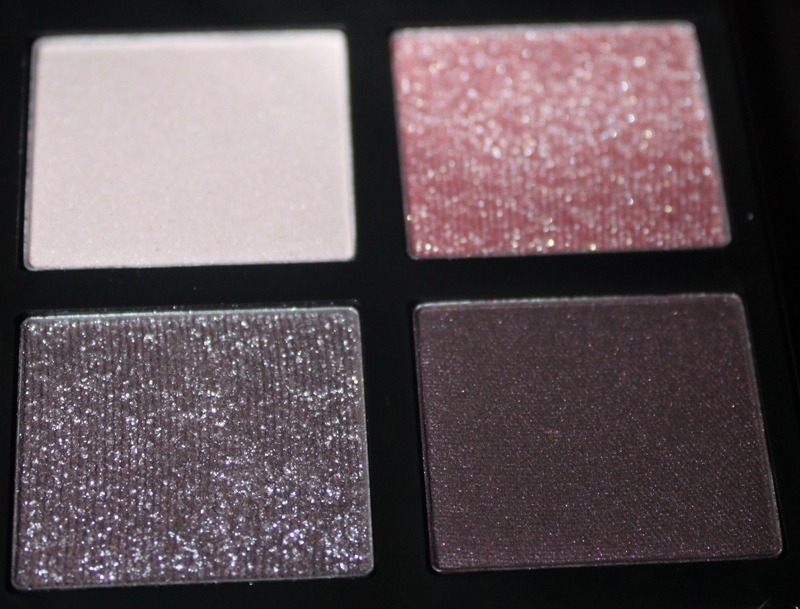 The new Nars palettes are already calling my name and I'm sure I will find it hard to resist. What has been your favourite summer blush! Cle De Peau is a uber-luxury brand (is that a word?) Elusive, expensive and Japanese with a cult following....... This is when I knew I had to try it. I had family visiting the U.S, so my lust turned into reality. The Cle de Peau concealer is number 3 in my concealer series. As I have become older the need to conceal my under eye area has grown, so or course the search for the holy grail concealer becomes even more urgent. 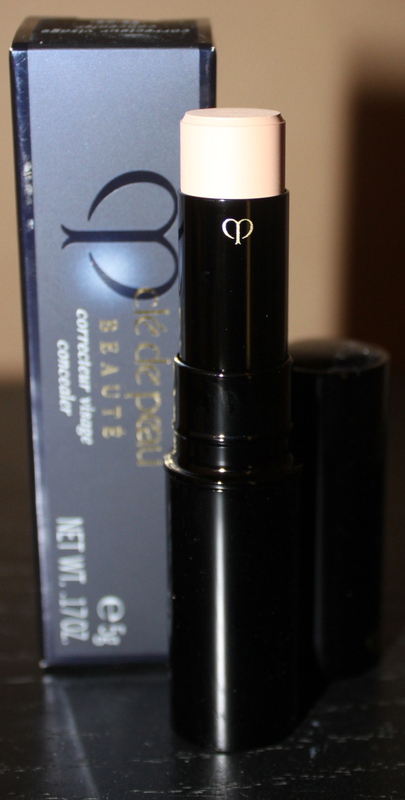 The Cle De Peau concealer has hefty price tag of $70, but with a reputation to match. Limited to only 4 shades I bought Beige sight unseen. This is a stick concealer, housed in a discreet black tube. No wastage and good for travel. It is highly pigmented, so a little goes a long way. The stick should last a long time, so the price is amortised over time . Application works well by swiping a small amount under the eyes or dabbing a finger onto the bullet. The warmth of your fingers help give the product slip and meld well to the skin. A brush can be used, but fingers garner better results for me. With all concealers make sure the under eye area is hydrated well, for the product to wear best over your skin. So use your finger and gently work it into the under eye area. The shade beige is quite a neutral shade and lighter than my skin tone, but thankfully blends in nicely without that dreaded owl effect (think big eyes with bigger brighter circles around them). As long as I have prepped well it does not settle into laughter lines or have any patchiness throughout the day. It has good longevity on my oily skin. It has good coverage and conceals my dark circles. It is lighter than my skin, so I do not use it for concealing blemishes on my face.